This blog post is the fifth, and final part of Church Authority, and Saint Ignatius the Red Pill, the first part of which can be found here, where I explain the background. Part 2 can be found here. Part 3 can be found here. Part 4 can be found here. Part 1 covered Ignatius’ idea of Church authority in his epistles to the Philadelphians and the Smyrnaeans. Part 2 covered his epistle to the Ephesians. Part 3 covered his epistle to the Magnesians. Part 4 covered his epistle to the Trallians. Part 5 (this one), the final part in this series within the Becoming Catholic series, will cover his epistle to the Romans. 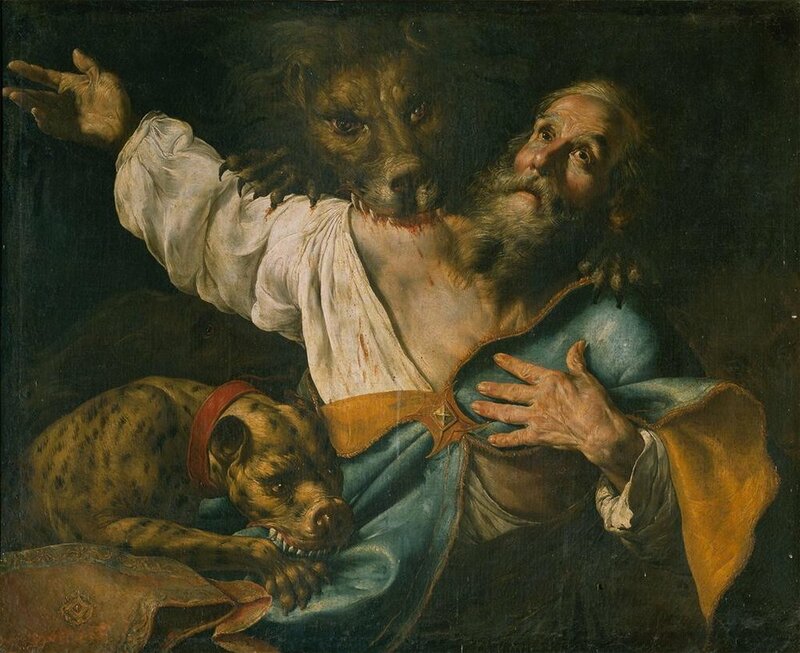 As has been repeatedly shown in this “series within a series,” Ignatius of Antioch had an exceptionally high view of Church authority, and the obedience owed to the hierarchical priesthood by lay Christians. This trend continues in his Epistle to the Romans. What is most important about this epistle is that Ignatius speaks to the Roman church in ways he never speaks to any of the other churches. Ignatius’ greeting to the Roman church is easily the longest greeting of any of his letters. In it, he says several things about the Roman church that he doesn’t say about any other. For example, He says she is “enlightened” by God’s will. She is the only one he speaks of “presiding” anywhere. The language is not absolutely conclusive whether “in the place of the Romans” means the Roman church rules in the area of Rome, or that she presides over the whole Church from Rome. Given the language in other parts of the epistle (which we will get to), as well as the other praises he heaps on the Roman church that he gives to no other, it is reasonable to conclude Ignatius is referring to the Roman church as the head of all the churches. He consistently speaks of the Roman church as “worthy” and “honorable,” terms he applies to no other church. He speaks of her as being “deemed holy,” and “named from” both Christ and the Father—terminology he uses for no other church, implying that the Roman church is somehow uniquely established by God. Finally, he speaks of the Roman church as “filled inseparably with the grace of God,” and “purified from every strange taint,” which, given the tenor of this and all the other epistles, is most likely to refer to heretical doctrines. Thus, while Ignatius warns every other church to avoid heretical doctrine, he speaks of the Roman church quite differently—as one “purified” from such things, making her, again, one uniquely credited by Ignatius with both authority and grace from God. In the first chapter, Ignatius almost seems to beg the Roman church not to pray for him, as he seeks martyrdom for the sake of Jesus, and says that “it is easy for you to accomplish what you please.” This is, again, some sort of unique grace, or ability, he attributes to the Roman church. While Ignatius was headed to Rome for his martyrdom, his comment could not possibly refer to any sway the Roman church had with civil authorities, as this was a period of great persecution. I write to the Churches, and impress on them all, that I shall willingly die for God, unless you hinder me. I beseech of you not to show an unseasonable good-will towards me. Allow me to become food for the wild beasts, through whose instrumentality it will be granted me to attain to God. I am the wheat of God, and let me be ground by the teeth of the wild beasts, that I may be found the pure bread of Christ. Allow me to obtain pure light: when I have gone there, I shall indeed be a man of God. Permit me to be an imitator of the passion of my God. I no longer wish to live after the manner of men, and my desire shall be fulfilled if you consent. Be willing, then, that you also may have your desires fulfilled. I entreat you in this brief letter; give credit to me. Ignatius thus attributes unique power to the prayers, or spiritual initiative or actions, of the Roman church—she is the only one he seems to be asking permission from, in some way. He speaks to no other church in this fashion. The precise reason for this is not entirely clear from the letter itself. No doubt both Ignatius and the Roman church had some sort of common understanding that would make his comments fully intelligible. You have never envied anyone; you have taught others. Now I desire that those things may be confirmed [by your conduct], which in your instructions you enjoin [on others]. This line is crucial, as it speaks of the Roman church as one that teaches, confirms, instructs, and enjoins other churches. The Roman church envies no other church—which implies that she has some sort of preeminence the other churches lack. Ignatius speaks of no other church in this way. Entreat Christ for me, that by these instruments I may be found a sacrifice [to God]. I do not, as Peter and Paul, issue commandments unto you. They were apostles; I am but a condemned man: they were free, while I am, even until now, a servant. There are three important observations to make about this passage. First, it affirms that Peter was indeed at Rome. Second, it lists him first, following the biblical pattern in which Peter is always listed first, a testimony to his primacy. Third, given the fact that churches could only be founded by apostles, and we know that Paul did not found the Roman church, we must necessarily conclude that, at least as far as Ignatius knew, Peter must have been its founder. While this topic is an extensive one, a quick look at the biblical evidence is merited here. Ignatius’ words are particularly interesting in light of Romans 15:21, where Paul, explaining why he has not yet come to Rome, speaks of “my ambition to preach the gospel [elsewhere], not where Christ has already been named, lest I build on another man’s foundation…” [Emphasis added] This necessarily implies that the Roman church, “[whose] faith is proclaimed in all the world,” [Rom. 1:8] has already been founded. And since it was clearly not founded by Paul (according to Paul himself), the only other contender who is listed in the historical record is Peter. This is, in fact, the universal testimony of the Church Fathers. Indeed, in Peter’s first epistle, he speaks of “She who is at Babylon.” [1 Peter. 5:13] “Babylon” is in all likelihood a coded reference to Rome—not only does it have prophetic significance (see Revelation, etc. ), but it was also a common sense security precaution given the intense persecution of the early Christians in the capital city of the Roman Empire. Once again, Ignatius speaks of the Roman church in a unique way. In the greeting, he spoke of it “presiding over love,” and here, toward the end of his letter, he speaks of the love of the Roman church being extended to the church of Antioch (Syria). As already noted, Ignatius nowhere else speaks of any church “presiding” except the Roman church, and clearly he understood that presidency as extending, in some way, even to the remote eastern regions of Christianity. Exactly how is unclear. In summary, while the exact implications of this particular epistle are not always clear, it is beyond doubt that Ignatius speaks of the Roman church in ways he simply does not speak of any church. Most significantly, he speaks of her as one who teaches, confirms, instructs, and enjoins other churches, and as one not only deserving of, but indeed gifted with, unique honors and graces both from God, and the other churches. Such claims no doubt serve as an early witness (barely 75 years after Christ’s death and resurrection) to the idea of the primacy of the Roman church, the church founded by Peter, and strengthened by Paul; the church which “presides over love,” and continues to teach, instruct, and pass on the Christian faith, “purified from every strange taint,” to the whole world. With that, the Church Authority, and Saint Ignatius the Red Pill series within the broader “Becoming Catholic” series is concluded. In short, we see one of the earliest leaders of the Church, a disciple of the Apostles, barely 75 years after the death and resurrection of Christ, asserting the divine and God-given authority of bishops; communion with the bishop as a necessity to maintain unity as well as doctrinal purity; the Real, even Physical Presence of Christ in the Eucharist (as opposed to heretics who denied Christ’s physical body); the necessity of a bishop for a valid Eucharist; the Eucharist as a source of Christian unity; the “altar” as the center of Christian worship; the episcopate (bishops), presbytery (priests), and deaconate (deacons) as divinely ordained offices within the Church; and if not the primacy, certainly some sort of preeminence of the Roman church founded by the apostle Peter. There is only one Church in existence today who continues to maintain every basic feature of the Church to which Saint Ignatius testifies, and it is the very same Church he is the first to mention in writing: the Catholic Church.